Initial impressions about FLI Charge were mainly positive with a few skeptical remarks thrown in. Having gotten a chance to see its performance in action, does the charging technology truly live up to its promise and defy the negative criticism? For starters, the technology uses conductive charging technology based purely on contact charging. Qi wireless charging as of late has failed to impress due to its inductive methods for charging, not only resulting in slow charge times but also heating up a device considerably in the process. By delivering more power to the device, the dangers associated with Qi wireless charging rise to add to radiation waves being admitted from the device being charged. Albeit the minimum radiation, FLI Charge poses little to no threat as compared to traditional Qi wireless charging in terms of radiation and its universal nature allows for virtually charging any device, with its orientation on the charging pad being irrelevant. There is truly potential for this type of charging to replace traditional methods of charging especially in working and corporate environments, supporting a wide array of devices including computer monitors, power tools and more. Alongside the charging pad, FLI also bundles the FLI Cube and the FLI coin, both discussed in the video. While the FLI Cube may serve to bring a charging socket closer to the user, the FLI Coin may be something that could be useful for charging devices in corporate environments. Both products innovate from the ground level and more details about them can be found here. But the company’s smartphone case has not been discussed previously. The FLI Case is a two piece case compatible at present with Samsung’s Galaxy S6 and S7 series as well as the iPhone 6s lineup. 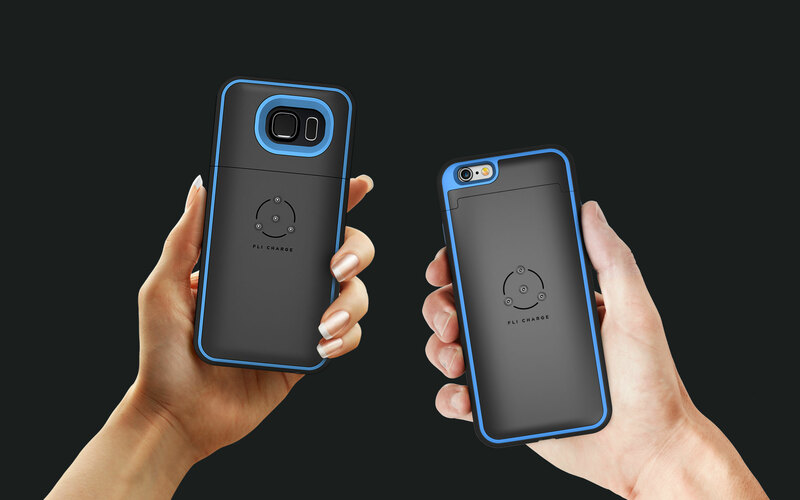 The case made of soft touch plastic is used primarily for charging purposes and does bring a bit of heft to a product but remains comparable to a product from ThinCharger and/or Mophie. The FLI charging pad alongside it’s proprietary accessories can be put to fruitful use and it is only a matter of time before their products may be found integrated in desks and cars for ease of use. Amassing close to $200,000, FLI has surpassed their IndieGoGo campaign’s initial goal of $100,000 and look to continue to innovate in time for their product launch to public. Any support is greatly appreciated and in the meantime, a giveway to win from FLI can be accessed here. Best Tough Case for iPhone 6S/6s+ UAG!